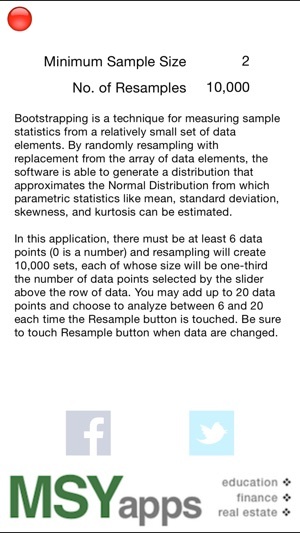 Bootstrapping is a technique for measuring sample statistics from a relatively small set of data elements. By randomly resampling with replacement from the array of data elements, the software is able to generate a distribution that approximates the Normal Distribution from which parametric statistics like mean, standard deviation, skewness, and kurtosis can be estimated. 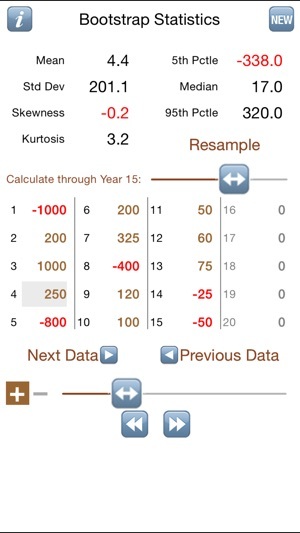 In this application, there must be at least 6 data points (0 is a number) and resampling will create 10,000 or more sets, each of whose size will be user-defined in the iPad version or 2 in the iPhone version. The iPad version allows for more resampling latitude and enhanced data entry. Another feature is the ability to add, retrieve, reorder, or delete data sets. 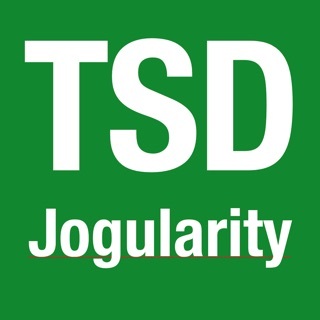 Results from the iPad version may be shared via email, text message, or print. - App now runs in all versions of iOS 11. - Fixed an undocumented bug in iOS 11 that prevented numerical formatting of text fields. Don't ask. This makes no sense. It's a pretty simple app, but it crashed the first two times I tried to use it. Then it lagged terribly while I tried to enter data. Then I couldn't change the sample size because the slider is impossibly small. Then it froze up again and I deleted it. True story.